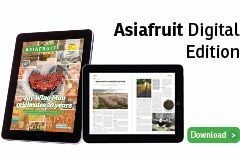 New Zealand’s apple and pear industry is getting behind its next generation of growers by supporting a new stand-alone bachelor’s degree in horticulture being offered by Massey University. A fully industry-sponsored 4ha apple innovation orchard is being developed at the university’s Palmerston North campus to help deliver the three-year course. 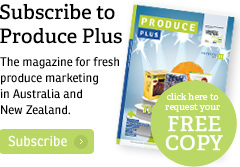 With the first student intake in February 2019, New Zealand Apples & Pears (NZAPI) capability manager Erin Simpson said there has never been a more exciting time for young people to enter the industry. “As a global leader in food production and with the natural resources available to us here in New Zealand, it is vital that the plant-based food industries of tomorrow have fresh young minds who can guide us into the future,” Simpson said. Once dubbed a "sunset sector", New Zealand’s NZ$800m apple and pear industry is now ranked the best in the world for international competitiveness. With crop volumes and export returns growing year-on-year, growers and exporters have been calling for an industry specific education pathway. 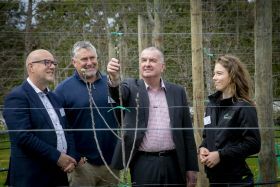 “The degree has been a long-time coming, made possible by a small team working together to make it a reality, creating significant benefits for both students and the wider horticultural industry,” NZAPI chief executive Alan Pollard said.